No Bank Holiday weekend is complete without a BBQ and although many of us will be eating al fresco over the next few days a nationwide survey showed that only a fifth of us are confident behind the grill! Tesco has recently launched Flame Academy, a recipe hub which is really simple to navigate and is split into different ideas based on your skill level. There is something for the beginner right through to the pro with dessert ideas and vegetarian options available also. There is the chance to add ingredients to your shopping basket online to make it even quicker to plan your food and if the weather isn't on your side you can adapt them for your oven with ease. We were sent some goodies from Tesco to put some of the recipes to the test! This is a twist on a traditional sausage, it is a lot nicer in appearance and more fun for the family being in lollipop form. You simply get 3 connected sausage and smooth out the joins to create one large sausage. This is then coiled with the courgette and pepper strips inside before a wooden skewer is inserted to hold it in place. It's cooked for 10-15 minutes. You can make a hidden veg sauce to dip the sausage into by simmering together the tomatoes, broccoli, honey plus any left over courgette and pepper in a pan until soft then blitzing them in a blender. This recipe is really simple and ideal for kids to try themselves. You place a biscuit on a strip of tin foil, add 2 pieces of chocolate and a marshmallow on top before adding another biscuit to make a sandwich. Wrap the tin foil around it completely and place on the BBQ for 2 minutes on either side until the filling has melted. Delicious! Ben Tish (Executive Director of The Salt Yard Group) is Tesco’s Flame Academy master and he has created some tips to help with your dishes. I had my first attempt at a BBQ recently and these were really useful for a successful cooking experience.  It’s important to know when the BBQ is ready to cook on. The flames should have subsided and the coals turned and even, ashen grey.  Use hard stalks such as thyme, rosemary and oregano to throw onto the BBQ coals and smoke whatever your cooking. Great for a quick smoke hit!  Slow cook whole chickens and larger cuts of meat with some vegetables help keep them juicy and tasty. Dissolve 10% salt to 90% hot water to make a solution and then cool.  For larger cuts of meat, a lump of seasoned hard wood such as oak or birch set at the side of the shen coals will gently really a stream of perfumed smoke and in turn smoke and flavor whatever your cooking with.  Smoking chips thrown onto the coals will give a smokey boost of flavor to smaller items such as steaks, chicken thighs and fish fillets.  Use the coals as another cooking medium. Wrap vegetables in foil and nestle them between and under the ashen coals to slowly cook and flavor. Great for potatoes, aubergines, beets and carrots.  A digital meat probe is great for checking if large cuts are cooked through correctly.  A fire chimney is a fast, reliable way to start up your BBQ. It’s also great if you are using your BBQ for a period of time to cook larger cuts or several dishes. You can start the chimney next to the BBQ and then top up as and when needed, just giving yourself 10 minutes to do so. Will you be having a BBQ this weekend? Have you got any tips to share? Those sausage lollipops look absolutely delicious, I need me some sausage. I had no idea what s'mores were! I feel so silly that I'd never even googled it. The sausage looks amazing...unfortunately I doubt we'll have the weather for a barbeee any time soon. Boo on the weather. the s'mores look delicious and so easy to make I have always wanted to make my own but have never got round to doing it! God those look delicious! The sausage lollipops would be a great way of encouraging fussy eaters. Love the sausage lollies. My boy would go mad for them. A perfect way to entice kids to try something different too! By this time last yeat we'd had about 8 Bbq's, I'm still yet to have my first this year thanks to the weather up north! Sausage lollies though...nom! It was too rainy for a barbecue at our place this weekend. These look like good recipes for next time though! 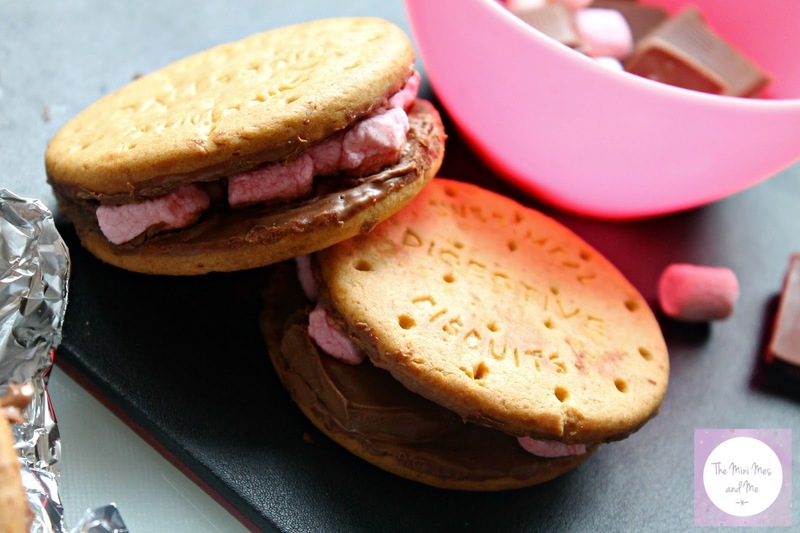 Love the idea of homemade smores, think I would go for rich tea biscuits, super yummy! 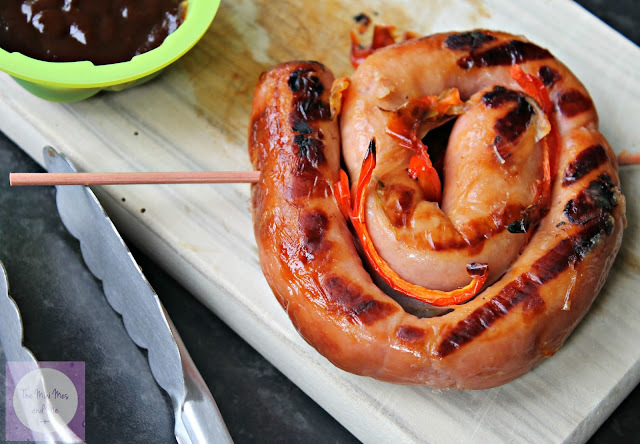 This project from tesco looks great, I love the look of the sausage lollys! A Sausage lollipop sounds like such a great idea! We call those sausage lollipops catherine wheels when we have them on bonfire night - we make little rockets with peppers on too. There's nothing better than a bbq! You know we haven't had our BBQ out all summer due to the weather. Thankfully we had a break in France to used one there. Those smores look to die for! This is a really good idea and I love the sausage lollipop idea. This post is toooooo yummy for my own good. It looks amazing! Thanks for sharing. I do love a good s'more, and flame academy sounds great! To many tasty photos! Now I just want sausages!